NLC Solutions is a reputable commercial cleaning service provider that serves a wide range of businesses, across New Jersey, Warren included. We have been in the business for more than three decades, and we have perfected our craft when it comes to achieving a hygienic environment for business premises. Whether you need industrial cleaning services or to restock cleaning supplies, we have got your back. Warren Township is a township in Somerset County, New Jersey. It was initially inhabited by the Lenape Native Americans before the European farmers settled down in the 1720s. The township borders Watchung to the east, Green Brook Township to the southeast, and Bernards Township to the north. Floor Care in Warren:Do you need your carpet cleaned or your floors waxed? At NLC Solutions, our skilled floor care team uses the latest floor care products and equipment to achieve the desired results. Industrial Cleaning Services in Warren:We employ some of the most effective cleaning methods to address your unique requirements of your organization. Green Cleaning Services in Warren:We believe in taking an eco-friendly approach when it comes to commercial cleaning. We make it a priority to use cleaning products that do not harm the environment. Cleaning Supplies in Warren:Replenish your janitorial supplies inventory by checking out what NLC Solutions has to offer! We carry a comprehensive range of cleaning supplies, including trash can liners, clear & mild foam handwash products, Purell sanitizing pumps, and more. 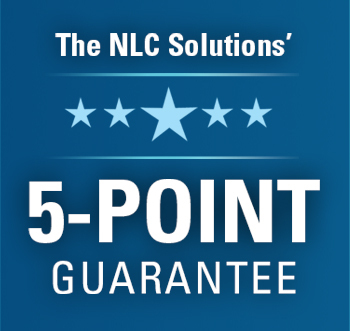 Call us at (908) 753-3900 or send us an email at info@nlcsolutions.com to discuss your cleaning requirements today!